Energy efficient and built to last, the Single Stage W42A2-A00 Wall-Mount AC Units offer maximum indoor comfort at a minimal cost. 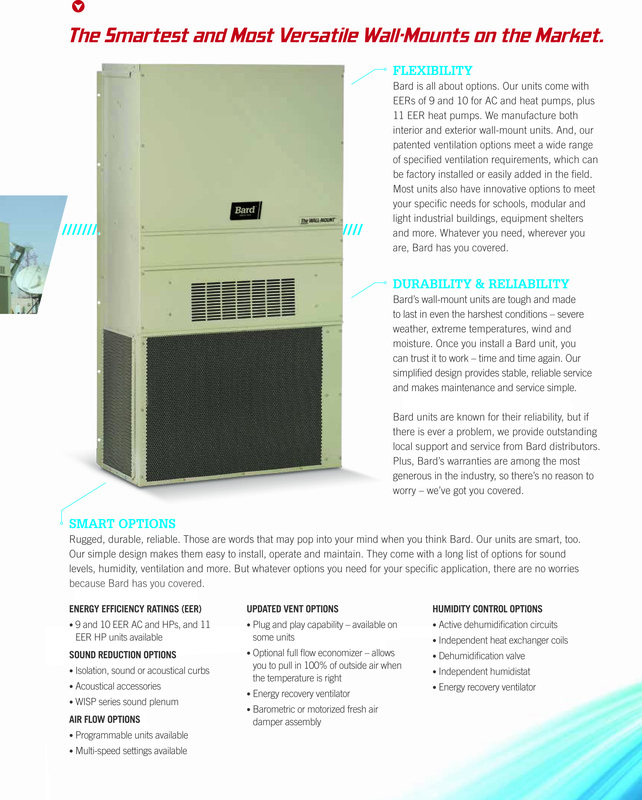 Designed for a variety of applications, these AC units also provide quiet operation. Factory or field installed accessories are available to meet specific job requirements.